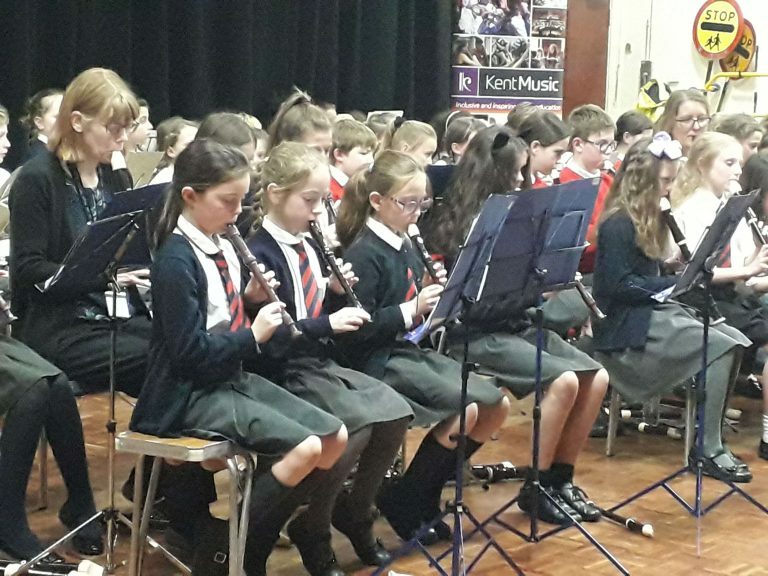 On 29 March, 62 children from six primary schools across Maidstone and Malling came together at Roseacre Junior School to perform in this year’s Maidstone Recorder Festival. The children were led by conductor Karen Barton-Holman, and accompanied by 2019’s Maidstone Musician of the Year, Matthew Hua. As well as the 11 pieces played by all participating schools, the audience were also treated to some fantastic pieces played by individual schools; St Katherine’s Primary School played Hello, Flower!, whilst St Margaret’s Collier Street performed Jump! Kent Youth Recorders also performed two pieces, demonstrating that playing the recorder is not as simple as some may think! Their talent and skill gave the younger children something to aspire to within their own musical development. Thank you to Roseacre Junior School for hosting the event, to all the schools for taking part and giving us a wonderful performance, and to all the family and friends who came to support Maidstone’s young musicians.